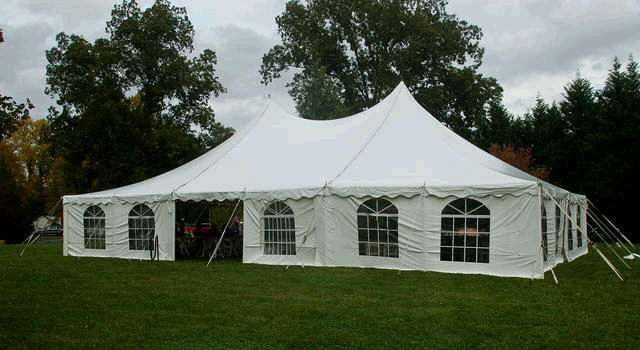 This professionally installed tent is great for weddings, corporate functions, or any gathering. Heat, fans, sidewalls, and much more are also available for this tent. Available in 20', 30', 40', and 60' wide. Please call or email for pricing; we will be happy to assist you in the rental process. * Please call us for any questions on our pole tent professionally installed rentals in Pipersville PA, Hatfield PA, and Bucks & Montgomery Counties in Pennsylvania.